Since 2016, the Company has advanced its intention to develop an integrated steel plant utilising the company leased iron ore deposit and nearby coal and limestone sources. The results of a laboratory scale test on the iron ore demonstrated that it could be converted to a steel feedstock suitable for electric arc furnaces. In November 2017, the Company commenced a Pilot Plant Test Program on a large bulk sample to demonstrate the process in a continuous batch mode. Successful completion of this extensive testwork in September 2018 confirmed the feasibility of producing a marketable cast steel product, together with the development of a flowsheet for the processing of Agbaja iron ore into cast steel suitable for billet making. 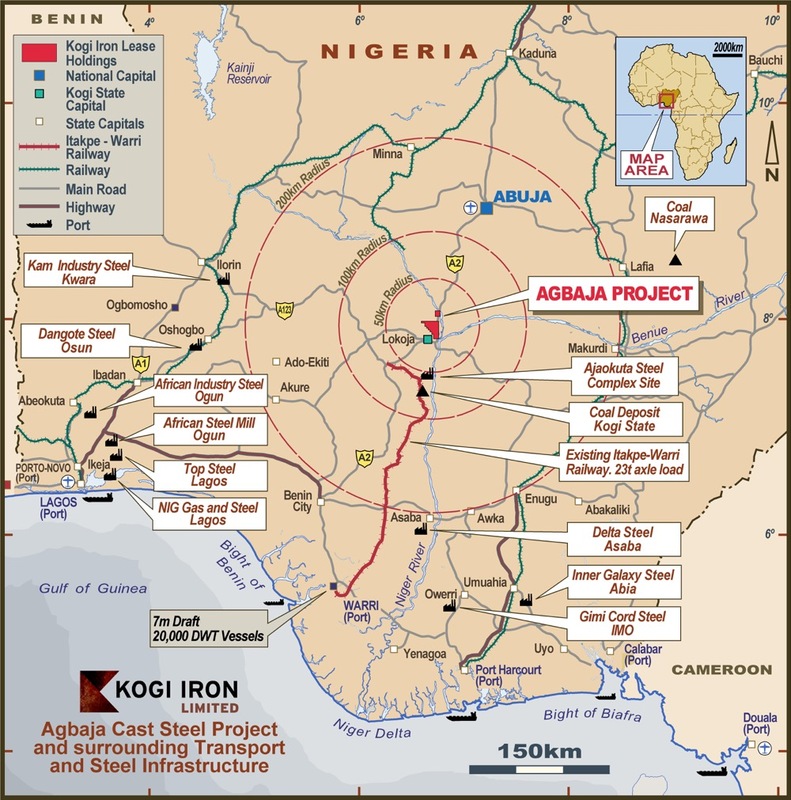 Kogi Iron is progressing its Definitive Feasibility Study to support financing for the Agbaja Project.